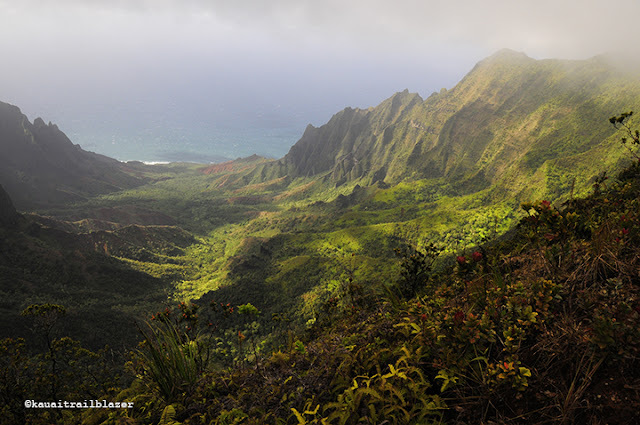 The most popular hike in Hawaii is the Kalalau Trail, which starts on the north shore and squiggles the Napali (cliffs) for 11 miles before ending at the Kalalau Valley (above). 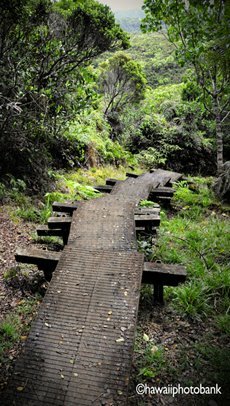 But the best hike in the universe (at least there is none better) starts at the rim of the valley, just above Waimea Canyon, and travels four miles through a rainforest swamp to a platform (the Kilohana Overlook) that is perched on a 4,000-foot ridge. 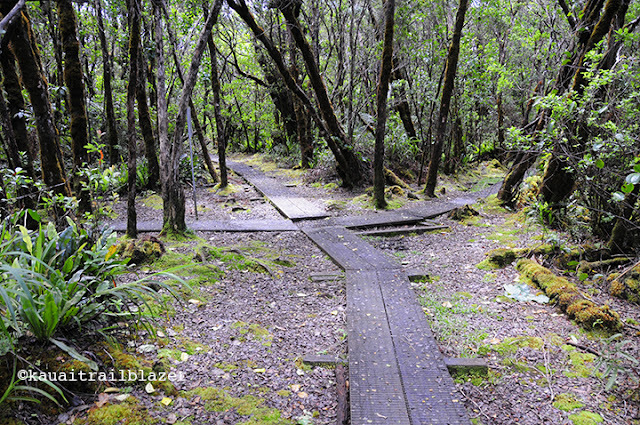 The first section of the trail will dissuade the casual hiker. 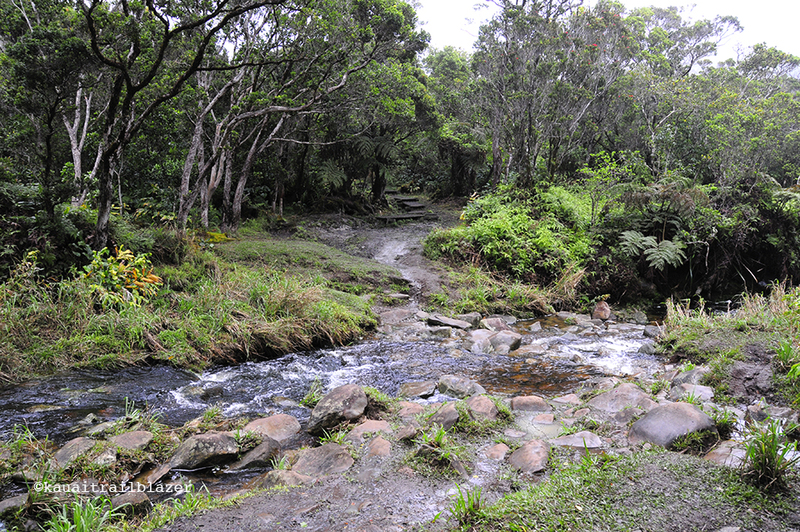 A water crossing can present a problem during heavy rains, but it is usually a cinch. 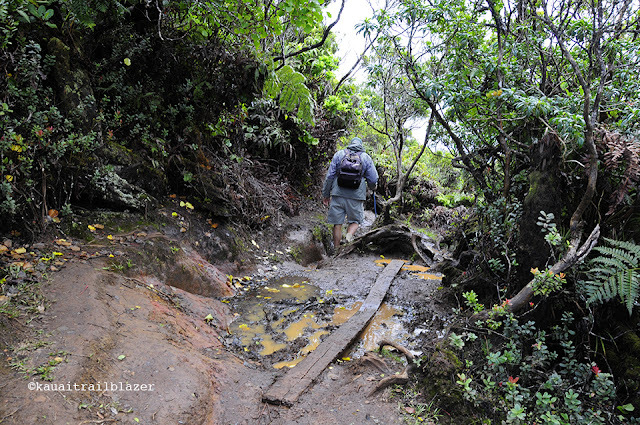 So lace up your mud shoes, bring a hiking pole, and make sure the waterproof jacket is packed. Most of the Alakai Swamp trail is a breeze, thanks to a fantastic boardwalk. 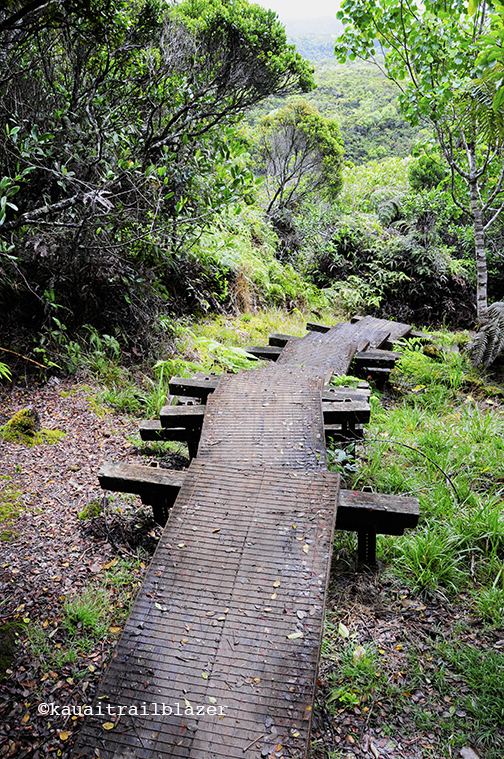 Stairs, ramps, and bridges—it's magic. One trail junction is clearly signed, a side trail that comes up from Koke'e State Park. 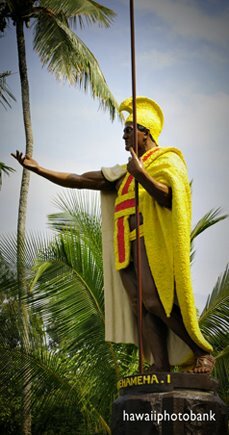 The rainforest was a respite for Queen Emma, who made many journeys into the greenery to find solace after the death of her husband, King Kamehameha IV. 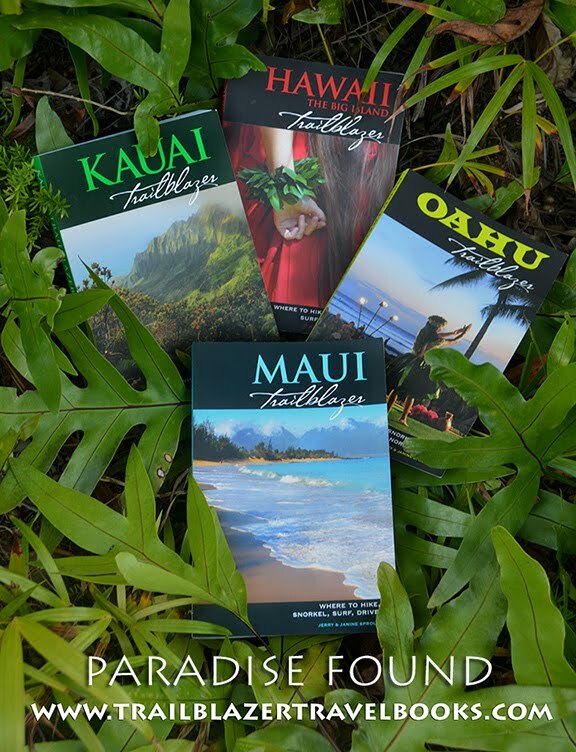 You need to stop in places to pick up the details of the plant life. 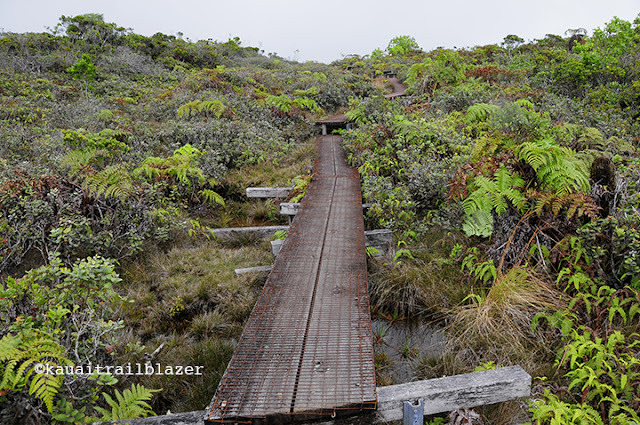 The last part of the trek is over the boggy, dwarf vegetation of the swamp. The biggest danger on this hike is wandering off the boardwalk—if the fog rolls in you are pretty much screwed. 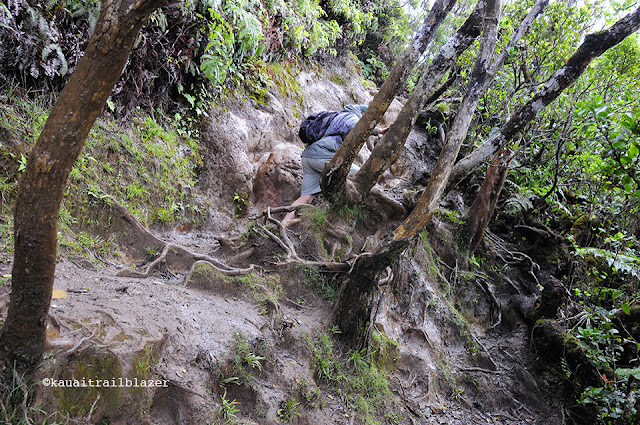 Even big-time hiking guides do not venture across the swamp. 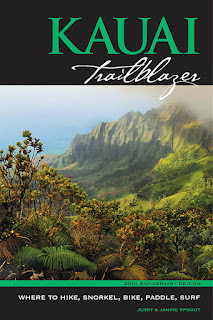 Kauai Trailblazer has more details on this hike and many others above and into Waimea Canyon—this place is an adventure hiker's wonderland, and many of the trails see very few tourists. 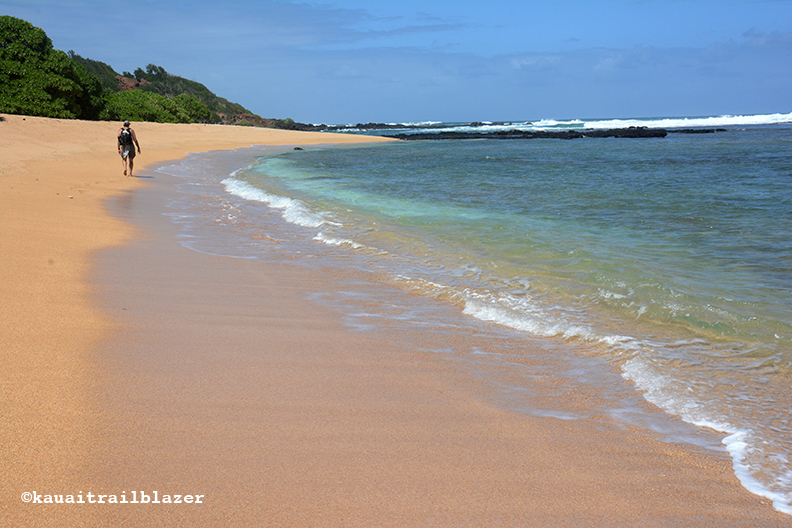 Strolling the surf line with your sweetie in Hawaii is near the top of the list of life's pleasures. 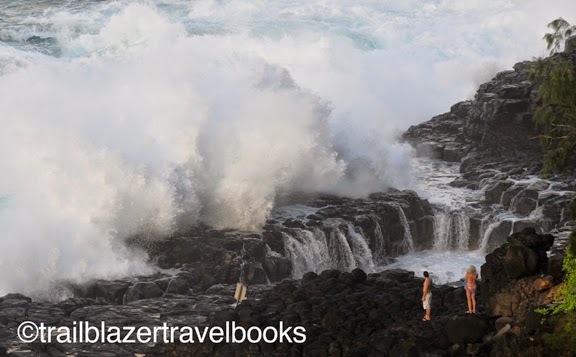 But you don't want this picture postcard to turn into a crime-scene photo: It only takes one wave to wipe you out, and it happens more frequently than tourism commissions want to publicize. The fellow above (at the far end of Lumahai Beach on Kauai), is watching the action, so he was able to turn on a dime and run like hell when the foaming water came rushing in. 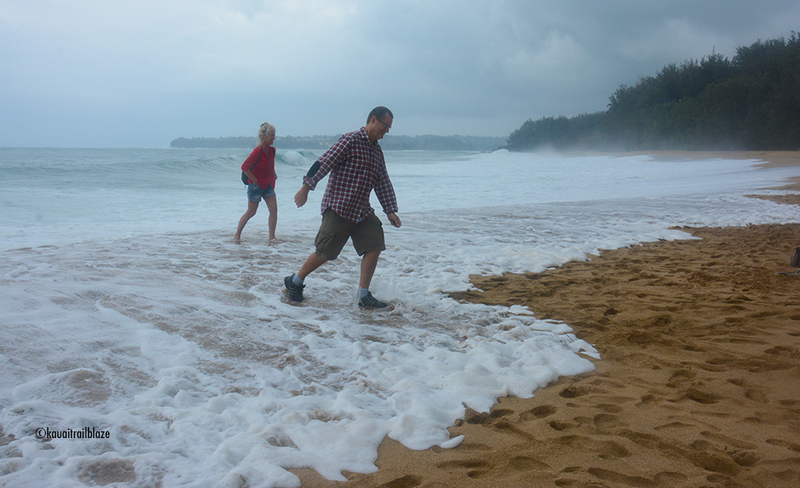 This couple got off with just wet shorts and a few laughs when the sand suddenly became water. When the surf is up, you want to stay well back from where the sand is wet, and always deep an eye on the breakers. Fortunately, you can move faster than they do if you react in time. The Queen's Bath on Kauai is a lovely place to soak in pools in the reef, when the swells are flat. 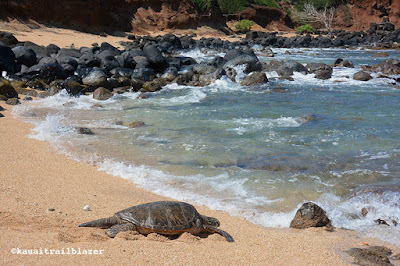 On this day, even being on this reef is suicidal. 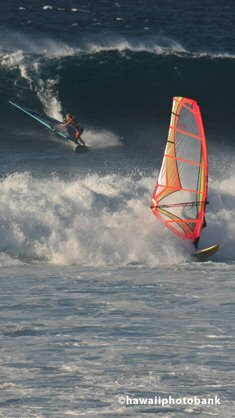 This couple is just above the impact zone, but still in a dangerous position. 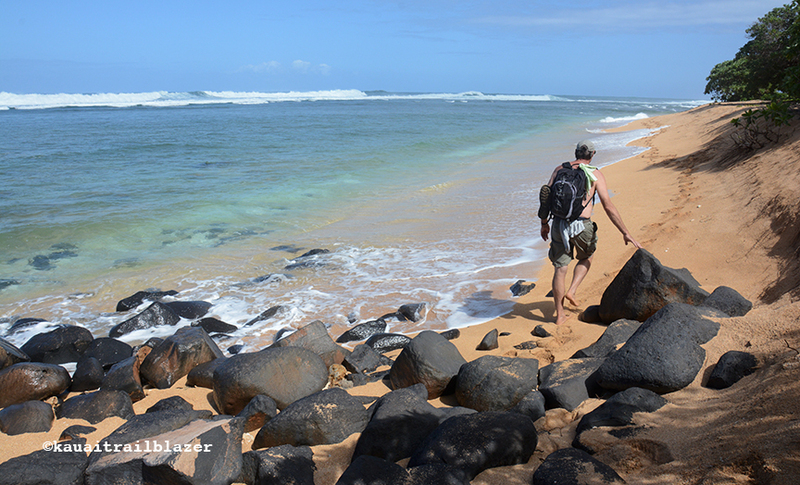 When out on the reefs, stay well back from wet areas, and watch the waves for many minutes before deciding a walking route. 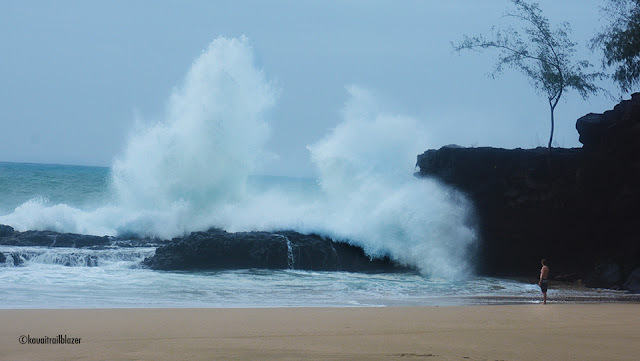 On high-surf days, a freak rogue wave will arise that is lethally larger than its companions. 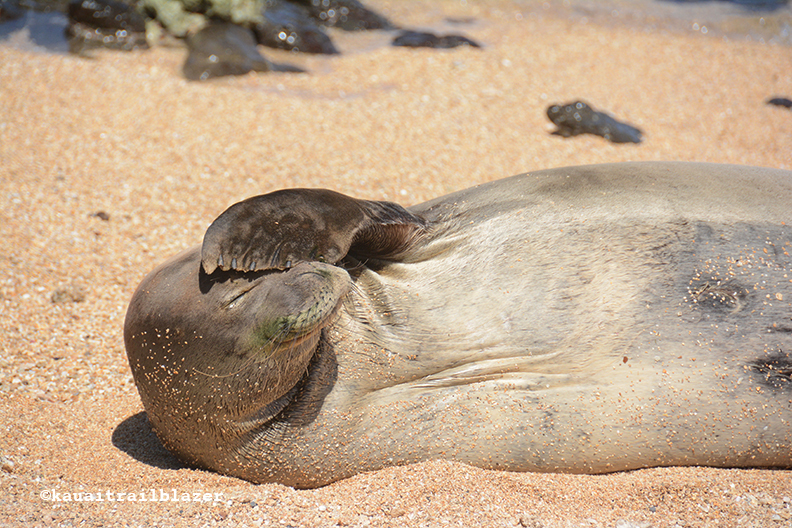 The good news is that the ocean is totally safe if you use good judgment. 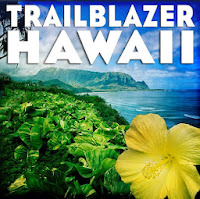 Trailblazer guides have sections on how to read the dangers on the shore, in the surf, and on the trails. 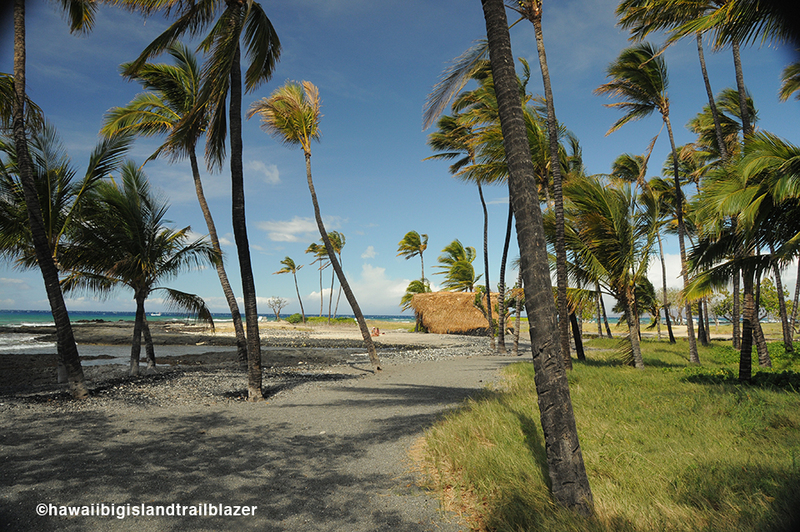 Additionally, the specific hazards associated with a trail or beach are noted. 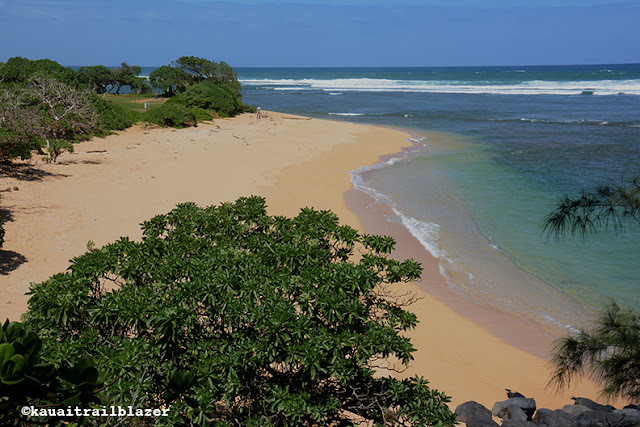 If you seek where the action isn't, pick a weekday and head north on Oahu's Windward (eastern) coast. For much of the drive, sandy beaches are right out the windshield and the country road is wide open. 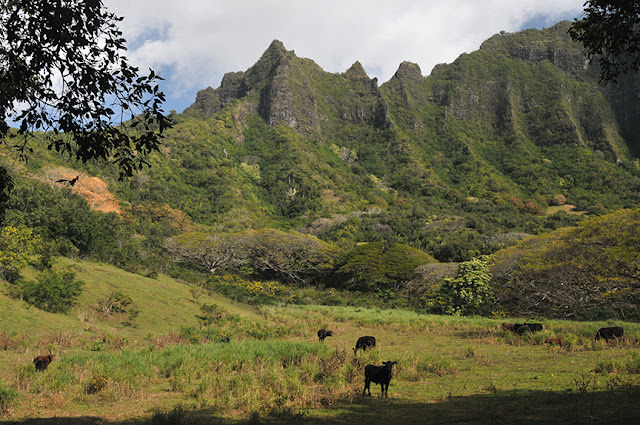 At the southern end of the drive (i.e., going north from busy Kailua), the Byodo Temple in Valley of the Temples is a Zen-like respite under the jagged Ko'olau Pali (cliffs). 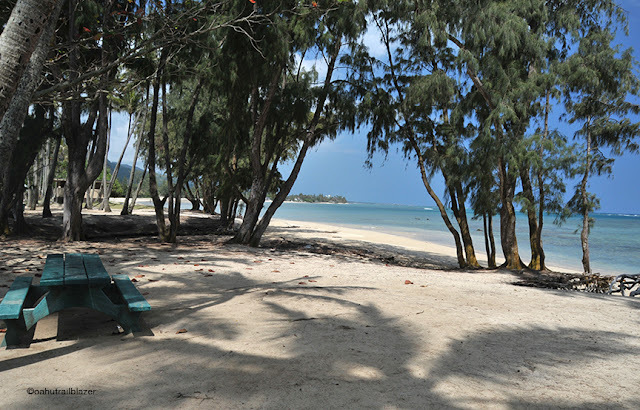 Several beaches, like Kahalu'u Beach Park pictured above, await a barefoot stroll. 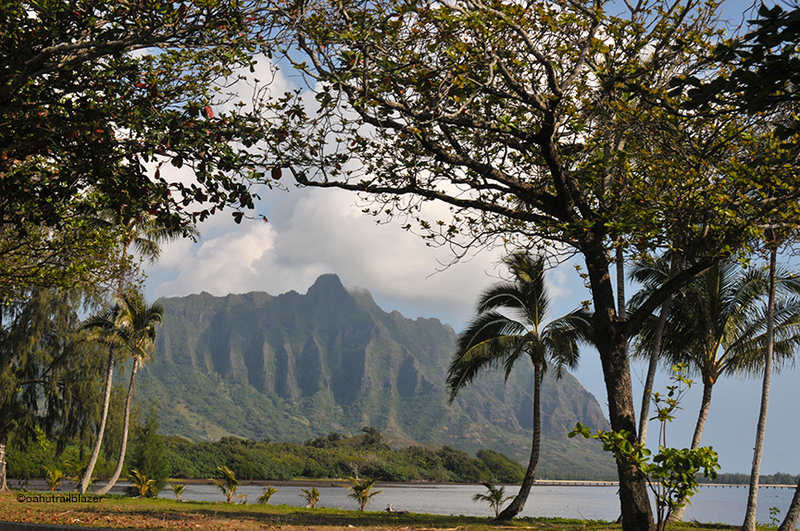 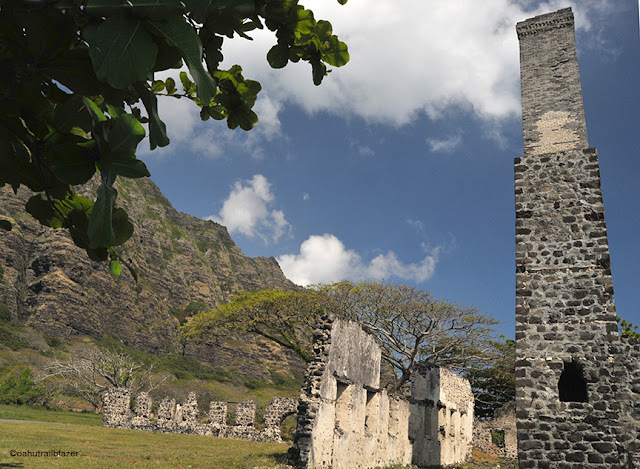 You may recognize Pu'u Kanehoalani (above) as a backdrop of Hollywood movies and TV productions. It forms a south boundary to Kualoa Ranch, where adventure sports are also a big draw. 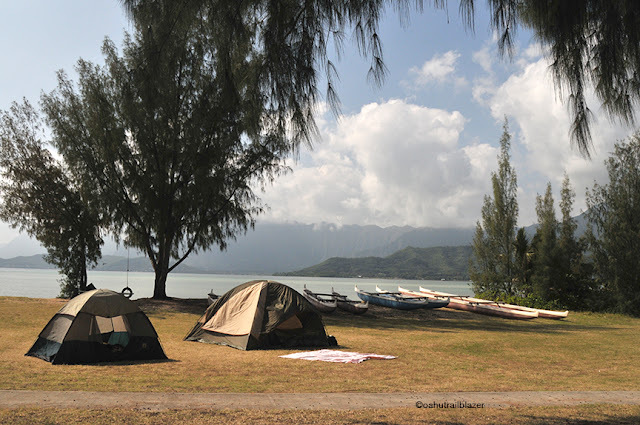 Locals love Kualoa Regional Park, for camping, outrigger canoeing, and snorkeling to the park's signature landmark, Mokoli'i Island (also known as Chinaman's Hat). 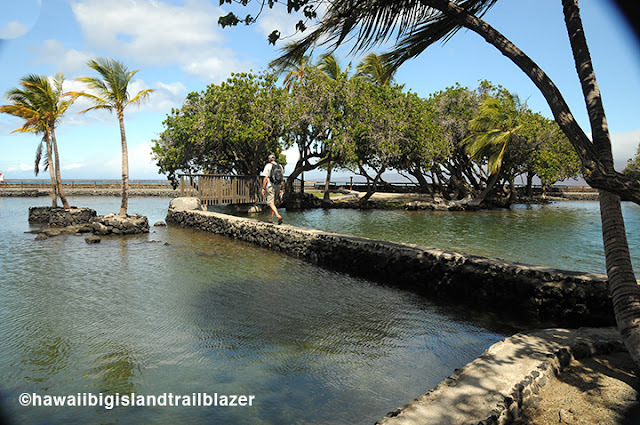 You can also snorkel at Secret Island, which is not an island but a strip of sand between a freshwater pond and the shore. 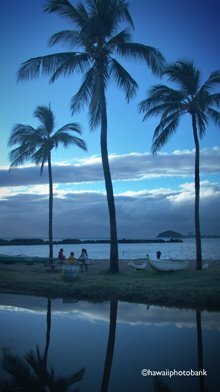 As is often the case in rural Hawaii, remnants of the sugar cane days are there for the sleuthing. Inland on this coast are several jungle-valley-waterfall parks that aren't really parks yet: The land has been allocated, but park developments are in the early stages. 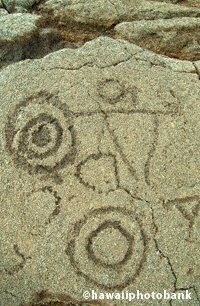 But you can drive around and take a peek. 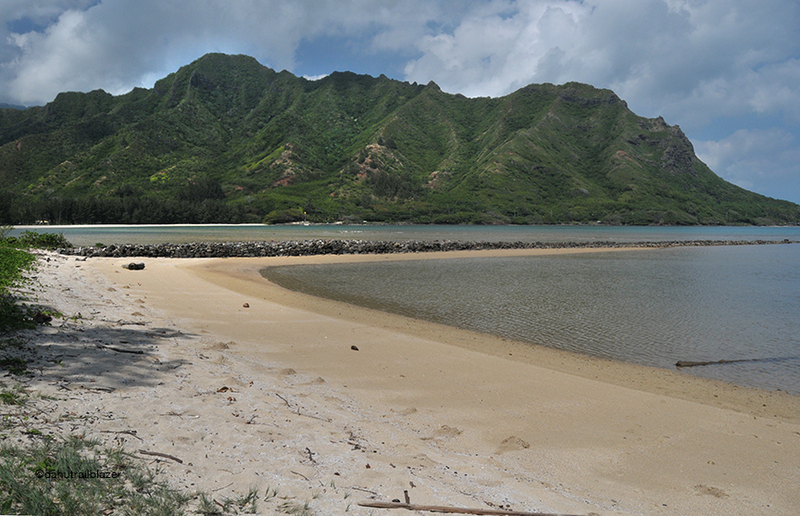 Waikane Valley Nature Park is mainly for four-legged folks for now. 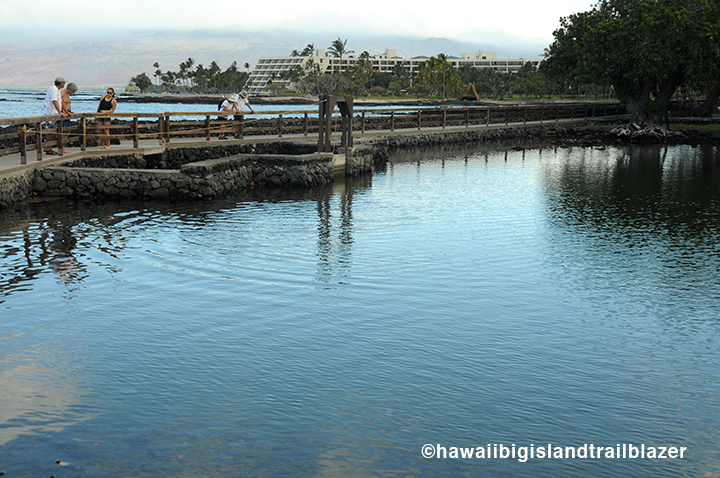 You could spend the day or three at Ahupua'a O Kahana State Park—beaches, trails, local-kine cultural sites, like the Huilua Fishpond (above). An ahupua'a (ah-hoo-poo-ah-ah) is a section of the island—mountain forests, stream, agricultural terraces, and coastal waters—around which all Hawaiian villages were built. 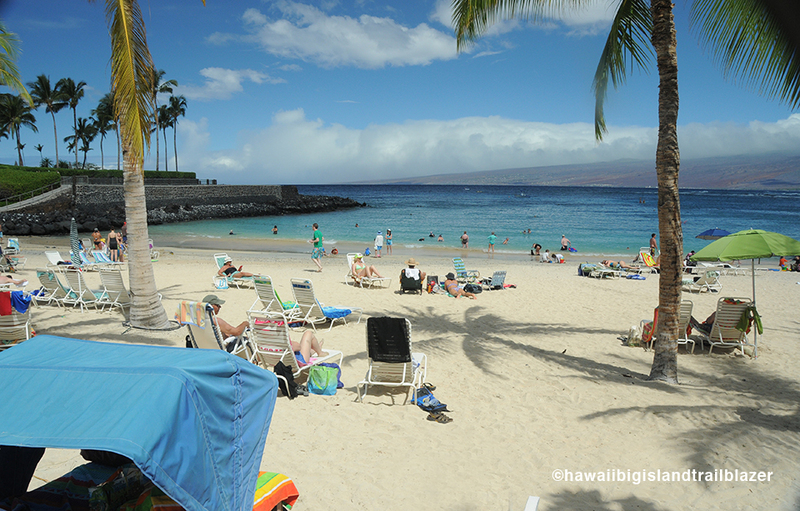 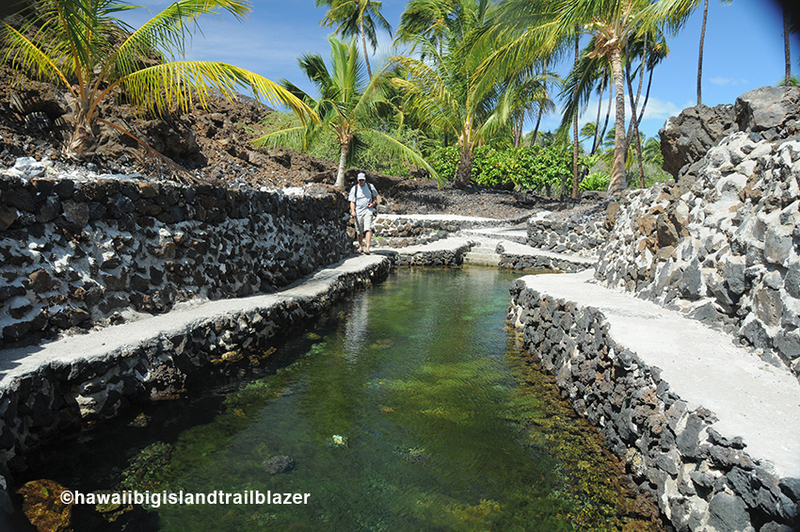 This park is a large one, dedicated to preserving the Hawaiian way of life. 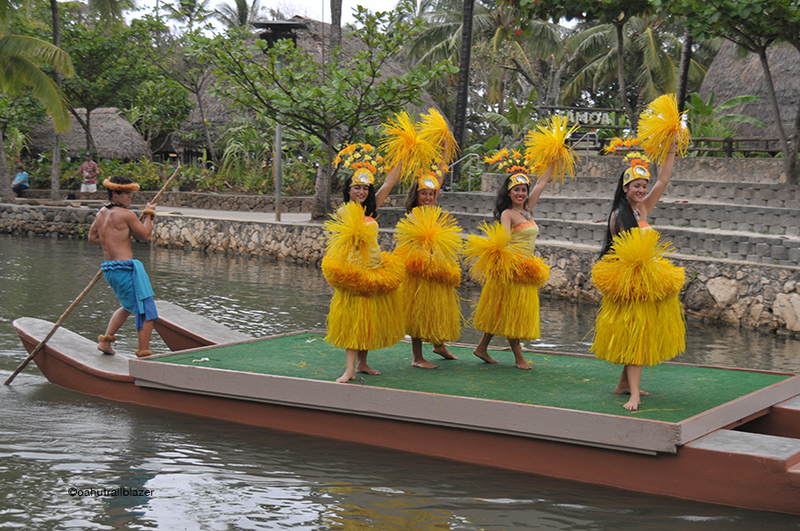 The Polynesian Cultural Center (below), also showcases traditions, though in a much splashier way. The PCC, in the sleepy town of Laie, is one of the top tourist attractions in the Islands. Several of Oahu's better beach parks are not far from Laie, like Pounders, Kokololio, and the huge Malaekahana State Recreation Area. Several hikes into the pali see few tourists, like the cheap-thrill jaunt on the Laie Falls Trail. Parts of the coastline are a rugged home to shorebirds, like Laie Point (above). 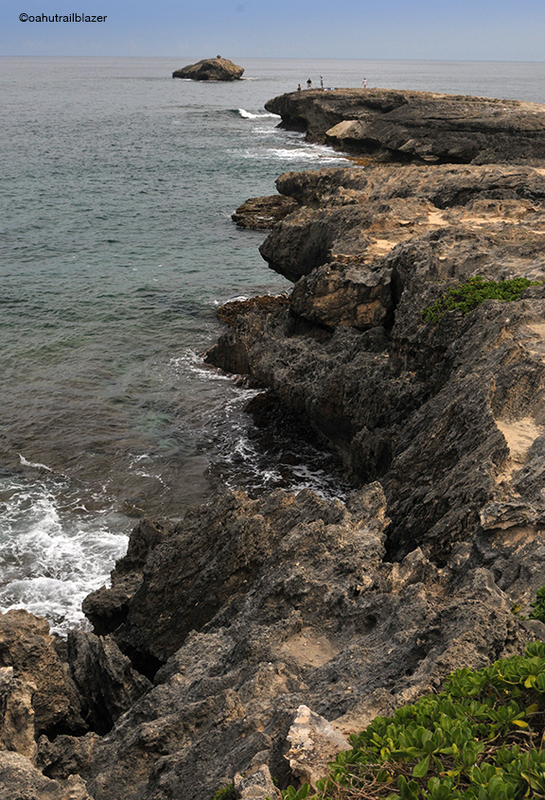 BTW: Unless you are feeling particularly suicidal, don't join the local kids who jump from the tawny cliffs on the point. 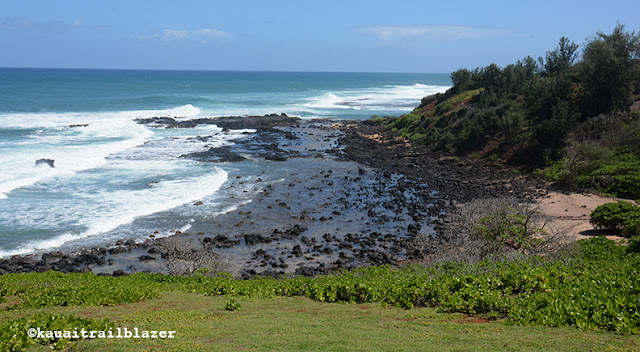 Continuing north, the highway curls through vintage Kahuku and reaches the famed North Shore; look for the tour buses pulled out at Sunset Beach. 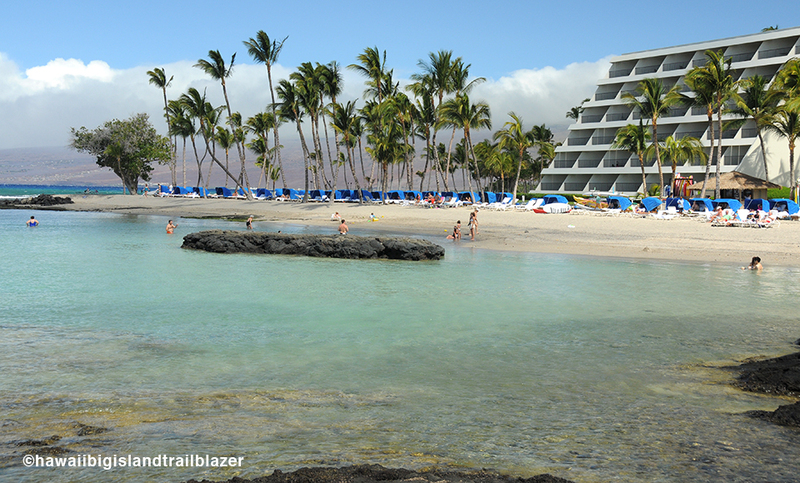 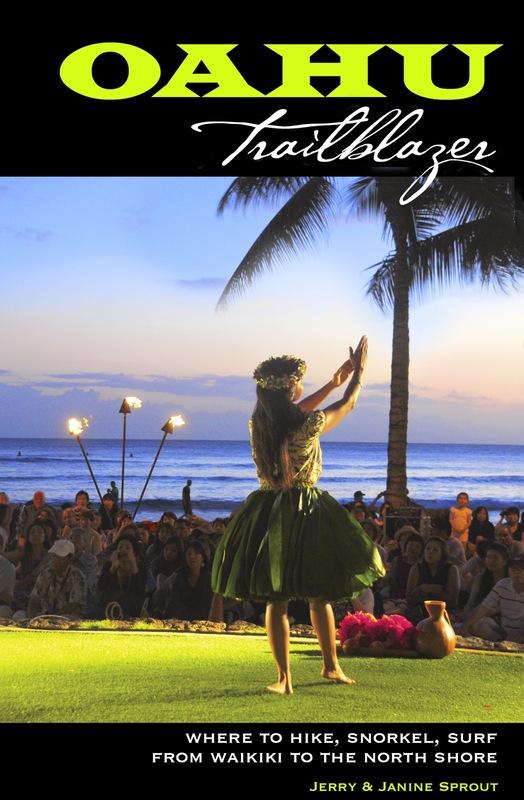 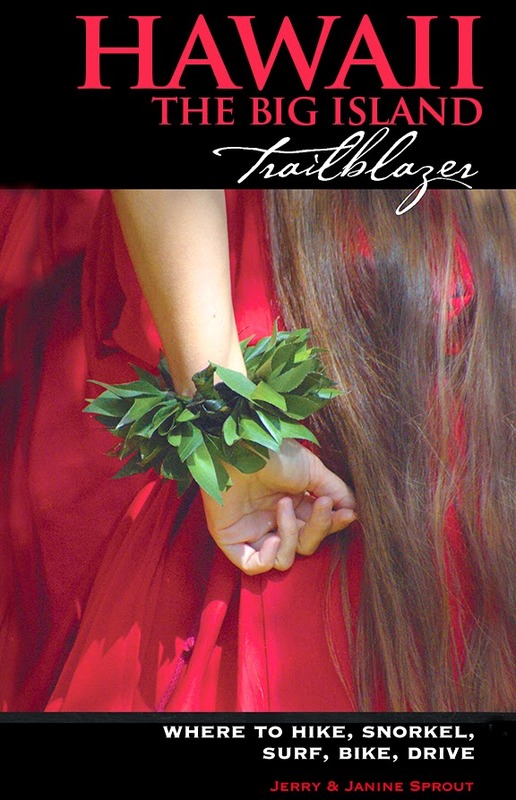 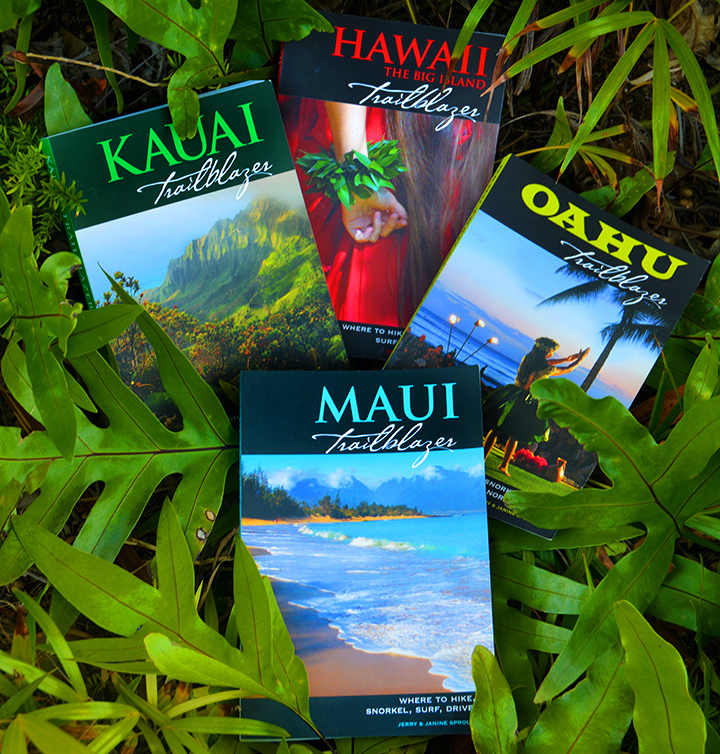 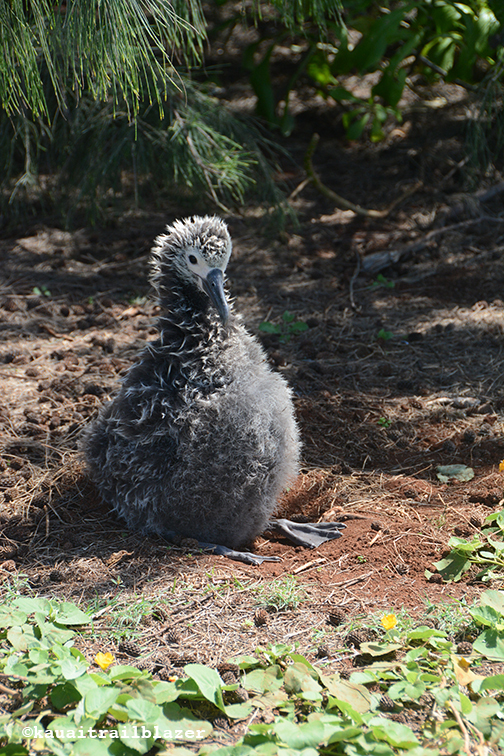 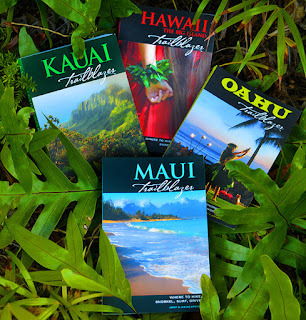 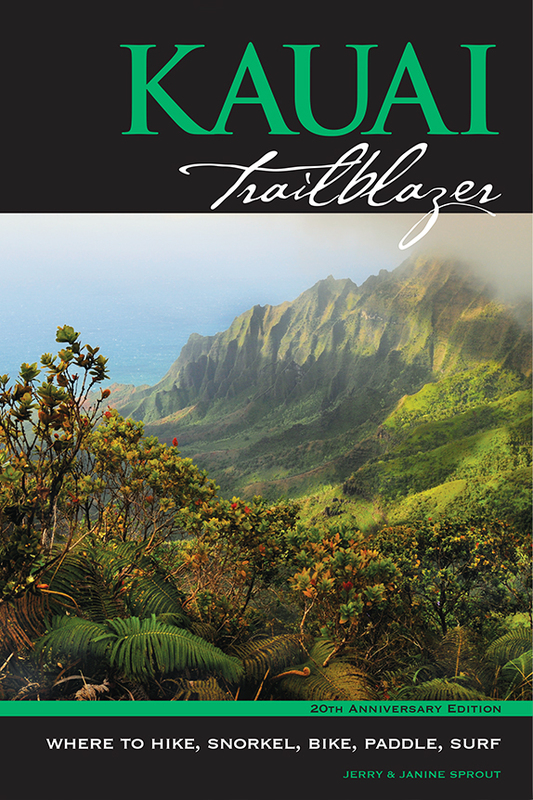 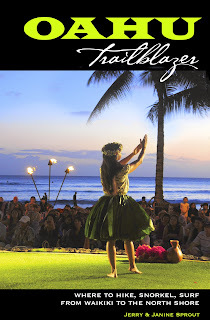 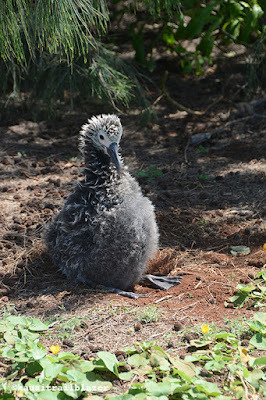 Oahu Trailblazer has many more details for independent, adventurous travelers.